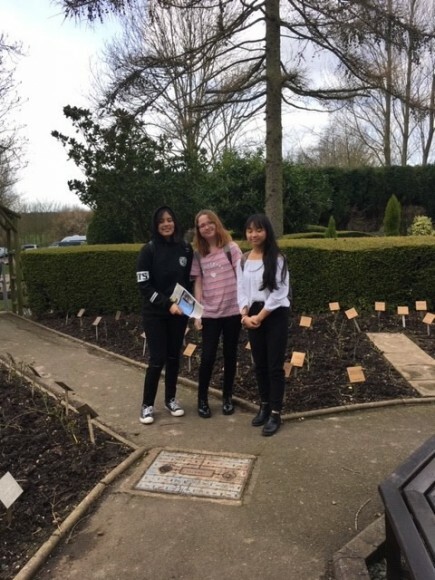 On the 15th March 25 year 8 pupils visited the National Holocaust Centre in Newark to build upon their historical knowledge of 1930s Germany and the Holocaust. At the start of the visit pupils received an introduction which encouraged them to focus on the role of the individual and the choices individuals made between 1933 and 1945. They then explored the museum and memorial garden which detailed the personal experiences of anti-Semitism and the Holocaust. Finally, students had the unique opportunity to listen to the Holocaust survivor Hedi Argent. I was so impressed with the level of respect pupils showed during the day and the intelligent questions they asked Hedi after her moving personal story of escaping Austria in 1938. I was particularly impressed with the engagement of Tobias Martins, Chinasa Ubah and Mikael Edmead who asked Hedi several questions which showed a deep understanding of the personal impact of anti-Semitism.